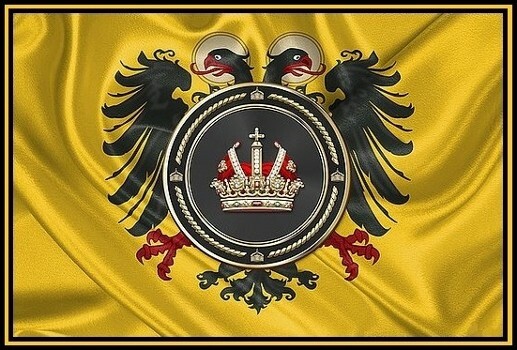 Welcome to the official website of the Holy Roman Empire Association and Order, which was first established in 1963 to unite all living descendants of the individuals invested with Titles of Nobility of the Holy Roman Empire by Imperial Letters Patent. 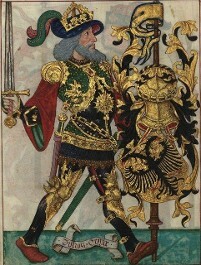 The Association and Order is the supreme governing authority over all the Titles of Nobility of the Holy Roman Empire, the Association formally compiles the official listing of those individuals who hold the right to bear and enjoy the Titles and Armorial Bearings as members of the Imperial Nobility of the Holy Roman Empire. It also includes a number of honorary members, It was founded by Prince Giovanni Alliata di Montereale and Count Giancarlo Bonifazi di Statte. The Chancellor (in succession to Prince Alliata) is Prince Mario Pignatelli Aragona Cortes; the President of the Court of Honor is Count Giancarlo Bonifazi di Statte; the Co-ordinators of the Council are Prince Domenico Napoleone Orsini and don Carlo dei Principi Giovanelli; the members of the Historical Council are: Marchese Henri de Thoran, Marchese Cosimo Dragonetti di Torres, Prof Riccardo Capasso, Monsingor Antonio Bittarelli, Monsignor Sandro Corradini; Avv. Giuseppe de Rosa. Members (titles not in parentheses are the Holy Roman Empire titles of the Family): Count Clemente Alberti di Poja, Marquess (Prince) don Camillo Aldobrandini; Princes don Francesco and don Gabriele Alliata di Villafranca; Prince don Giovanni Francesco and Fabrizio Alliata di Montereale; Nobile (Count) Carlo Antonielli; Prince don Alessandro d'Aquino; Count Federico Attems; Prince don Francesco Avalos; Nobile Luciano Aventi; Nobile Giangiorgio Barbasetti; Count Guido Barbiano di Belgioioso; Count Ferrante Benvenuti; Nobile Luigi Bertolini; Nobile Lanfranco Blanchetti Revelli; Dama Bona (Marchesa) Bonacossi; Prince don Gregorio Boncompagni-Ludovisi; Count Giancarlo Bonifazi di Statte; Conte Federico Bossi Fedrigotti; Nobile Marc'Antonio Bragadin; Barone Guido Buffa; Count Neri Capponi; Prince Marcello Caracciolo. Cestina: Slechticke rody Svate rire rimske. Deutsch: Die Adelsgeschlechter des Heiligen Romischen Reiches. 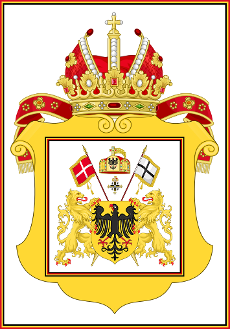 English: The noble families of the Holy Roman Empire. Espanol: Las familias nobles del Sacro Imperio Romano Germanico. 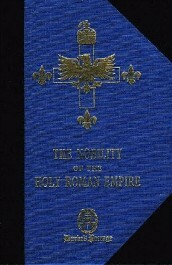 Francais: Les familles nobles du Saint-Empire romain germanique. Hrvatski: Plemicke obitelji Svetog Rimskog Carstva. Italiano: Le famiglie nobili del Sacro Romano Impero. Latina: Familiae nobiles Imperii Romani Sacri. Magyar: A Nemet-romai Birodalom nemesi csaladok. Nederlands: De adellijke geslachten van het Heilige Roomse Rijk. Polski: Rody szlacheckie Swietego Cesarstwa Rzymskiego. 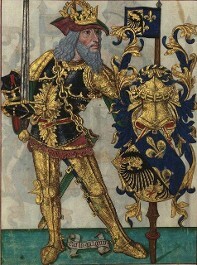 Portugues: As familias nobres do Sacro Imperio Romano-Germanico. Slovencina: Slachticke rody rimsko-nemeckej rise.